Microsoft VP Joe Belfiore recently confirmed via Twitter that starting next year, Windows 10 S will be a “mode” within existing versions of Windows rather than the standalone OS it is today. 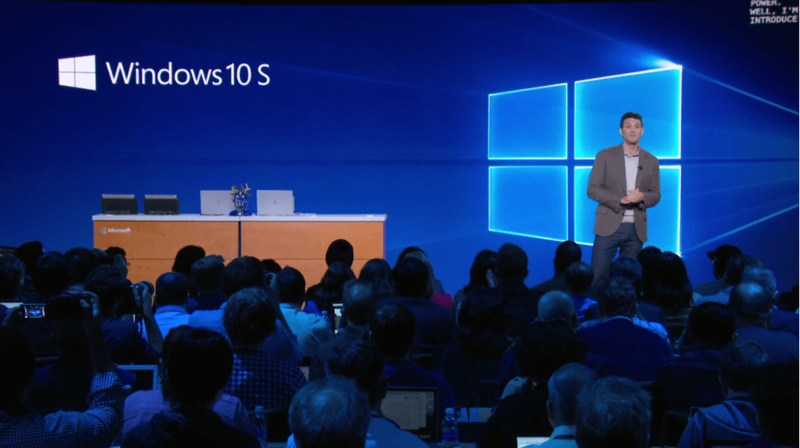 Windows 10 S is a feature-limited edition of Windows 10 for low-end devices that was meant to compete with Google’s lightweight Chrome OS in the classroom. Notably, the OS only allows for the installation of software from the Windows Store, severely limiting its usefulness. Many wrote the OS off as the modern version of Windows RT – in other words, it wouldn’t last. Given Belfiore’s comment, it looks as though critics weren’t exactly wrong. Word broke a month ago that Microsoft was planning to bake an “S Mode” into Windows 10. Around the same time, Thurrott reported some interesting usage figures that might give a clue as to why Microsoft intends to shelve the dedicated S version. According to the site, 60 percent of buyers stuck with Windows 10 S upon purchase. If a user does decide to switch to Windows 10 Pro, it happens almost immediately – within the first 24 hours of ownership for 60 percent of those that switch. Should a user not jump ship within the first week of ownership, they’ll stick with Windows 10 S 83 percent of the time. Unfortunately, Belfiore’s comment came with little context so we’re missing some key details. And considering the change isn’t scheduled to happen until next year, it’ll probably be a while before we get all the pertinent information.